Japan surrendered in World War II on August 15, 1945, but official act was singed only on September 2, 1945. This day is known as an official day of the end of the war. The government of the Republic of China announced the three-day celebration of this event. September 3 was proclaimed to be Victory of War of Resistance against Japan Day. 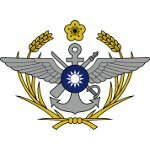 In 1955 this holiday became known as Armed Forces Day in Taiwan. The mainland China recognized September 3 only as Victory over Japan Day. Armed Forces Day is not a public holiday. Ministry of State Security annually decides, whether this day will be an official day off for the servicemen or not. Although this holiday may be a usual working day, different events are organized at institutions. Schools may hold celebrating activities.